Millennials are often dismissed as ditsy, superficial, and lacking a strong work ethic. But serial entrepreneur Nick Molnar argues that millennials are the world’s most powerful force, and they’re only just getting started. 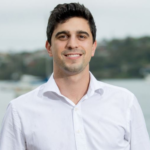 Afterpay Co-Founder and CEO Nick Molnar has raised the profile of ‘FinTech’ immensely over the last 12 months and at the tender age of only 27, he is one to watch for years to come. With his retail experience and out of the box thinking, Nick brings a refreshing addition to the retail space; an industry that was still tied to traditional financial models and practices. Nick has been in the online retail industry for close to 10 years. A born entrepreneur, Nick started selling jewellery at school and soon realised how to create a successful business online. Prior to establishing Afterpay, Nick launched leading American online jeweller, Ice.com, into Australia which he successfully grew to become the largest online-only jewellery and watch retailer. From becoming the most successful jewellery store on eBay to launching Iceonline.com.au, it was just a matter of time before he embarked on his next venture.